After meaning to do it for a long time, I finally have an episode on BIM, or Building Information Modelling. 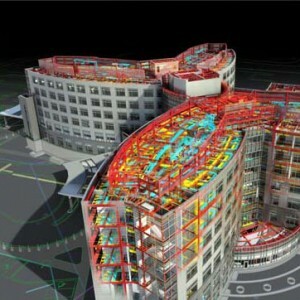 As you may know, BIM is completely changing the construction landscape. While BIM involves 3D modelling, it is much more than that. It is really revolutionizing the way we do construction, especially how we communicate within project environments. What I find with BIM is that a lot of people in the construction sector have not yet been introduced to it. In my case, I know of BIM, I have a pretty good idea of what it is – I even read a book on it – but never had the opportunity to actually work with it. Whether you are in a similar position or have already been working with BIM, I think my guest today will be able to shed some extra light on the benefits of this technology. Press the orange “play” button above the post to listen to this episode. 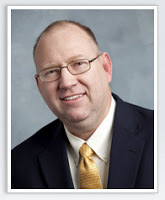 James is President of Collaborative Construction Resources, (CCR) a company that empowers stakeholders in the Construction Industry to utilize collaborative agreements, BIM and lean construction methods to deliver construction services more efficiently and productively. James is an experienced construction lawyer and he serves on both the National Building Information Model Standards (NBIMS) Project Committee and the Build SMART Alliance’s Business Process Integration Task Team, (BPITT). James and his family live in Fort Thomas, Kentucky, and spoke with me from office in Cincinnati, Ohio. Here’s a summary of services James can provide. What is your experience with BIM? Use the comment box below this post to share your experience with us. I started using BIM back in 2005. I was a Technical Project Engineer working for a Real Estate, and my job was validating the design of buildings made by outside designers, taking part personally to architectural and preliminary structural design, preparing quantity and cost estimations, and evaluating contractors’ offers to choose the best ones. I advocated the implementation of BIM (I chose Allplan – called “Vectorworks” in the US – and happily remained with it) as an effective tool to increase productivity and improve results, and my passion and credibility won my employer’s initial doubts. The results were astonishing: 1) increased by 35% the speed and the precision in evaluating materials’ quantities, and 2) immediate detection of discrepancies between architectural and structural design made by outside designers, leading to a decisive reduction of potential litigation with contractors for wrong design related causes. I became the responsible then for spreading the knowledge and form three of the architects working in my department to add the BIM tool to their practice. As a side effect, turning a BIM model into a rendering was just that easy, and this allowed us to internalize marketing rendering costs. Then I sponsored the use of BIM technology also when I changed employer and became Construction Manager in a construction firm. The implementation was easy, and the results followed immediately: spotting design errors helped reduce by 85% the additional costs and time for rework on site, and the improved ability to estimate quantities helped procure the correct amount of materials needed week by week, with a better cash flow. It looks like the industry is still trying to understand what BIM is… But the ones who already use it are leading the way! Thanks Cesar for the podcast episode and for its insights. Keep up the good job!